Export Chart Data allows you to export and save chart data to a comma separated (.csv) file. This exports all technical indicators and is formatted in the standard Date and Time, Open, High, Low, Close format with all applied technical indicator values following the bar data. 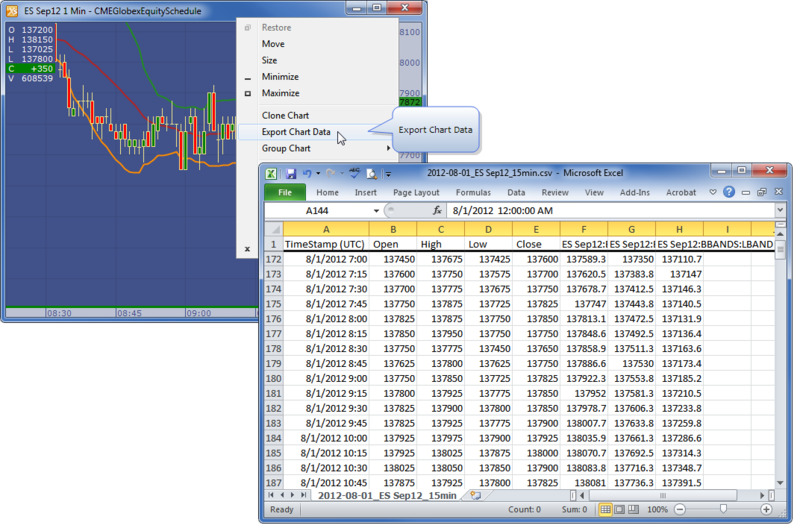 Exported chart data can be loaded into a third-party application for further analysis. Right-click the chart title bar. Select Export Chart Data. This exports chart data to the ttdatfilesChart Data folder.